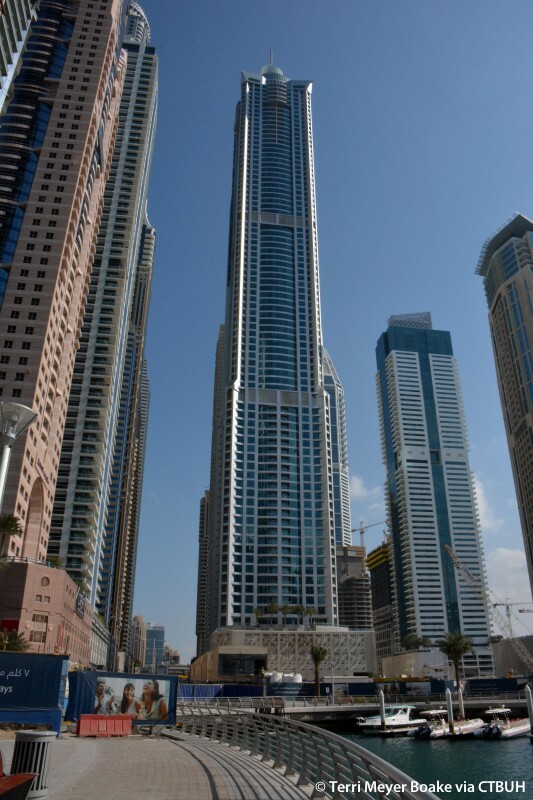 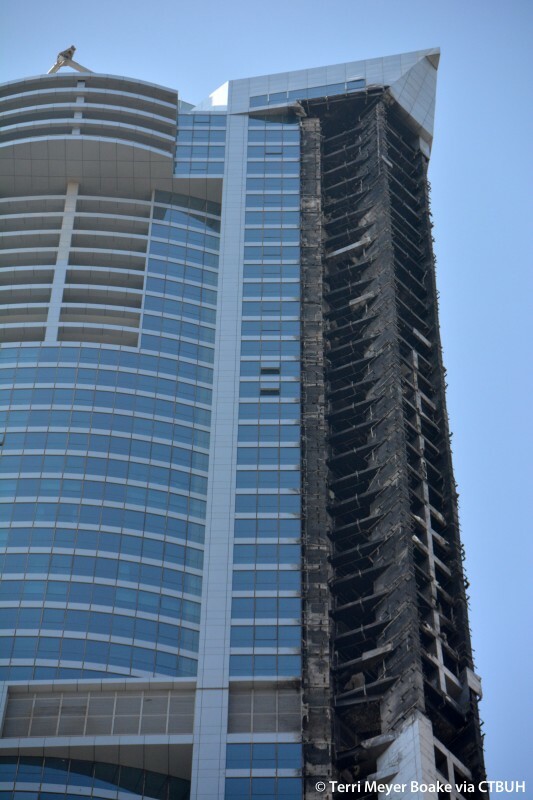 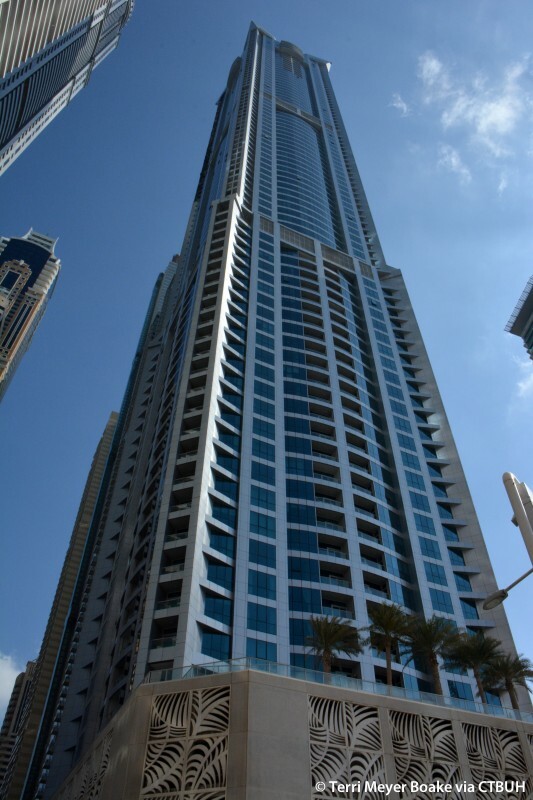 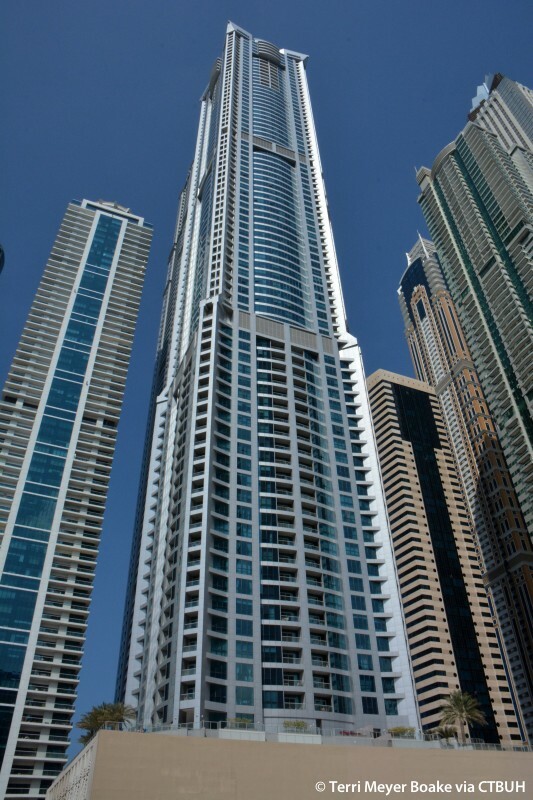 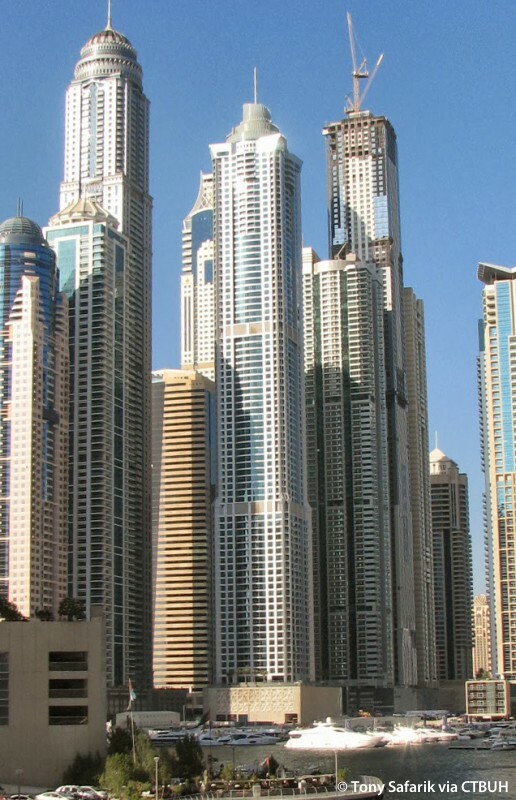 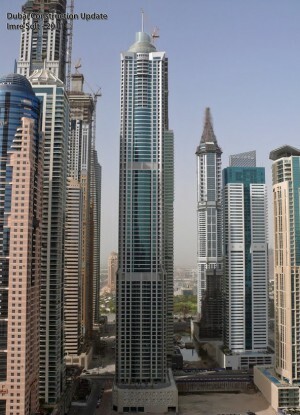 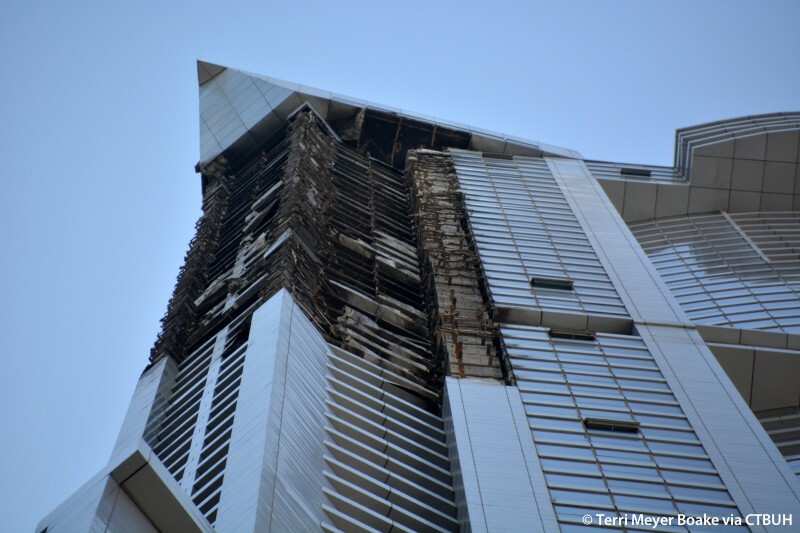 The Torch is a residential skyscraper sited in Dubai’s marina district. 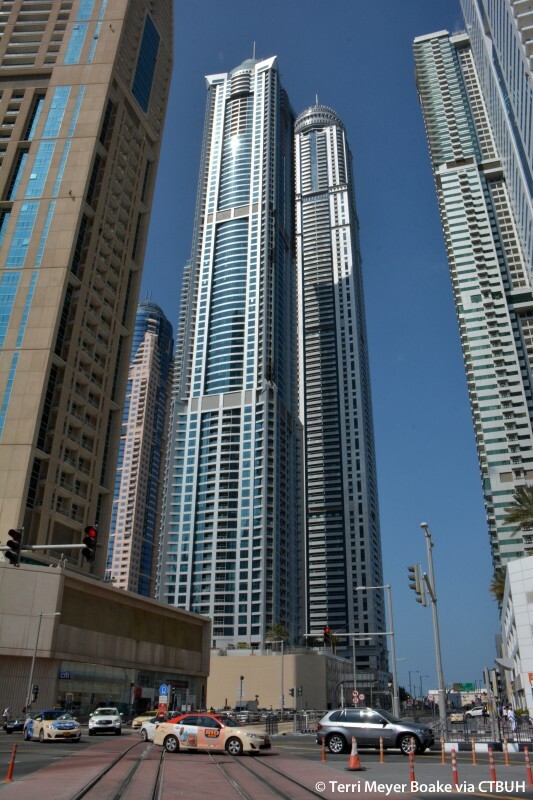 Completed in 2011, the building has gone from relative isolation to gaining a host of skyscraping neighbors nearby. 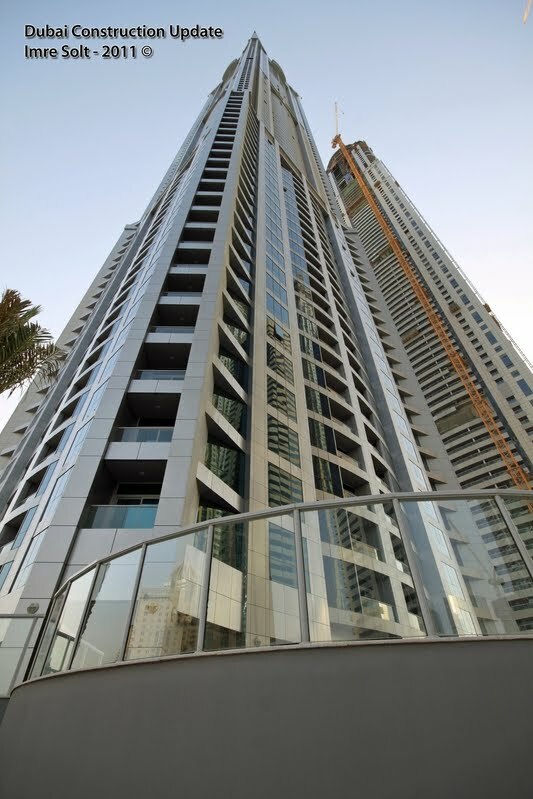 The waterfront tower consists of six retail spaces and 676 residential apartments that range in size and offerings, with a host of large duplex penthouses. 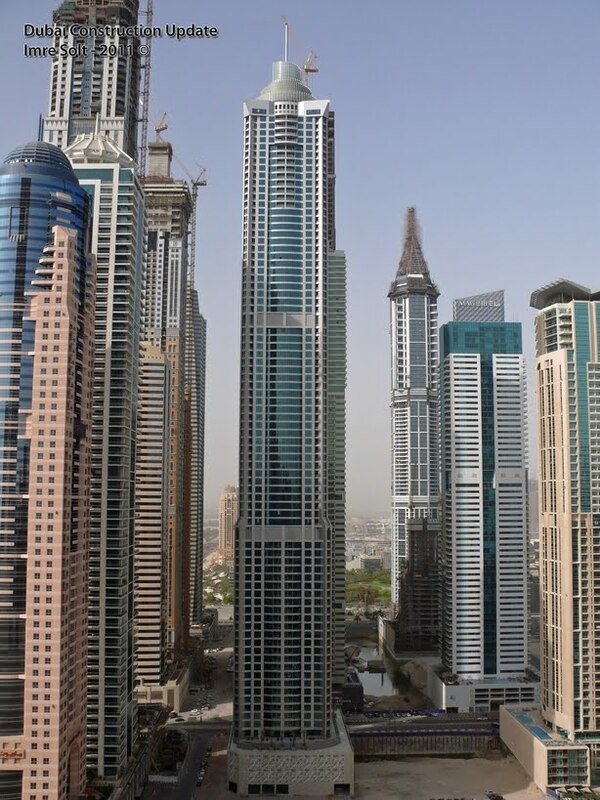 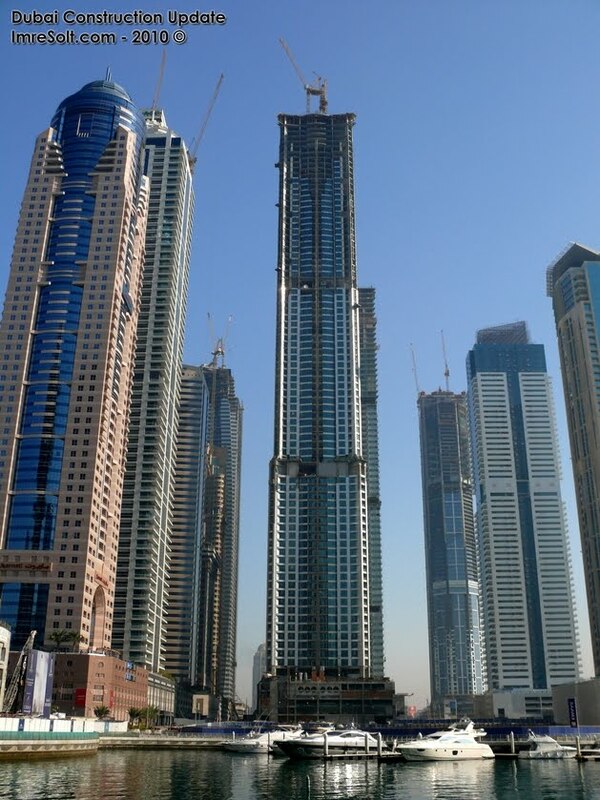 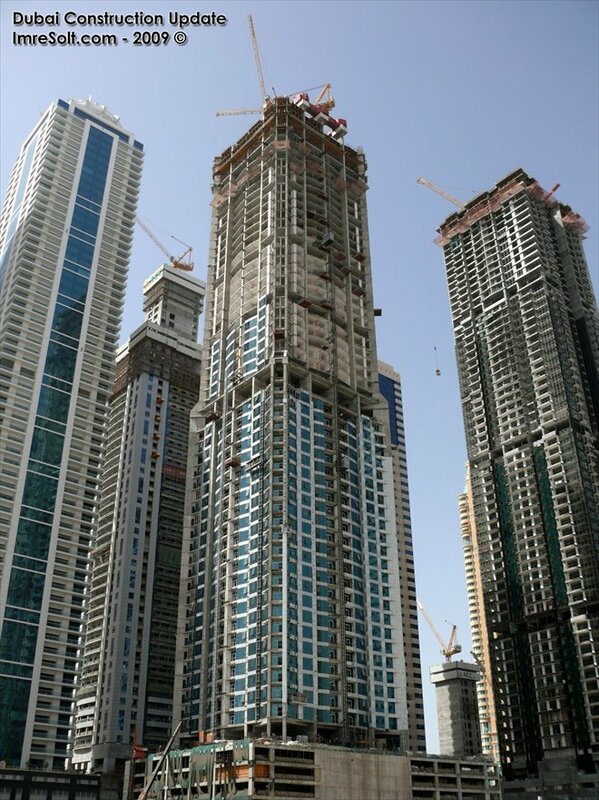 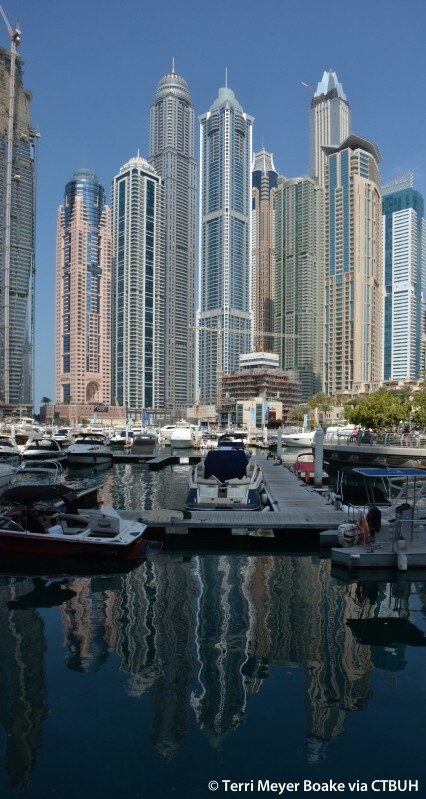 The location places it amongst Dubai’s most in-demand tall buildings in the marina. 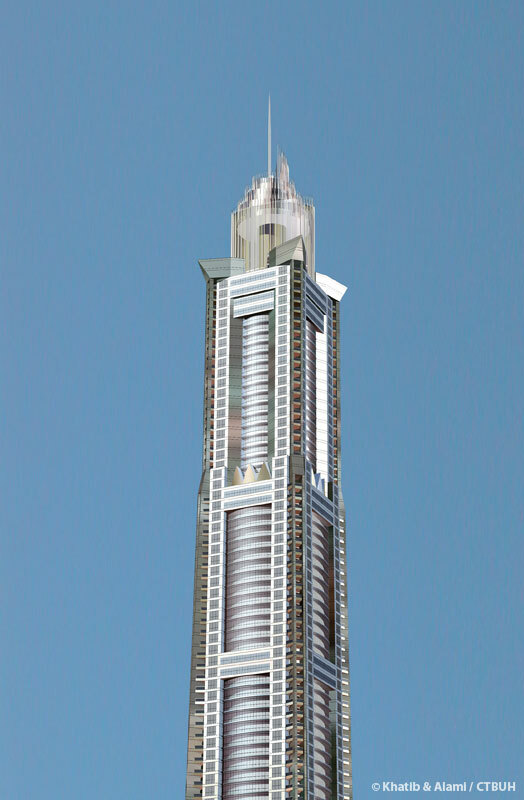 The tower has a concrete column structure, with beam and slab construction and a non-load-bearing façade. 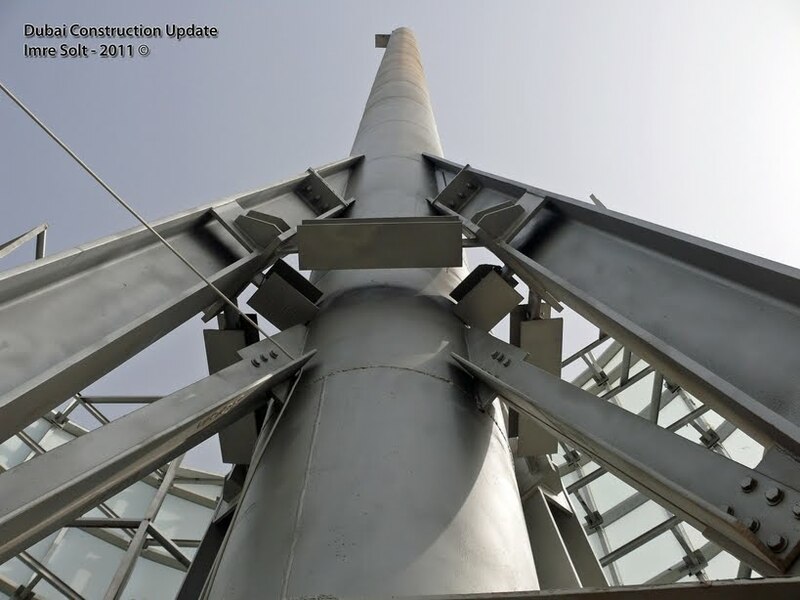 The structure was built in three continuous sections, punctuated by intermittent mechanical floors. 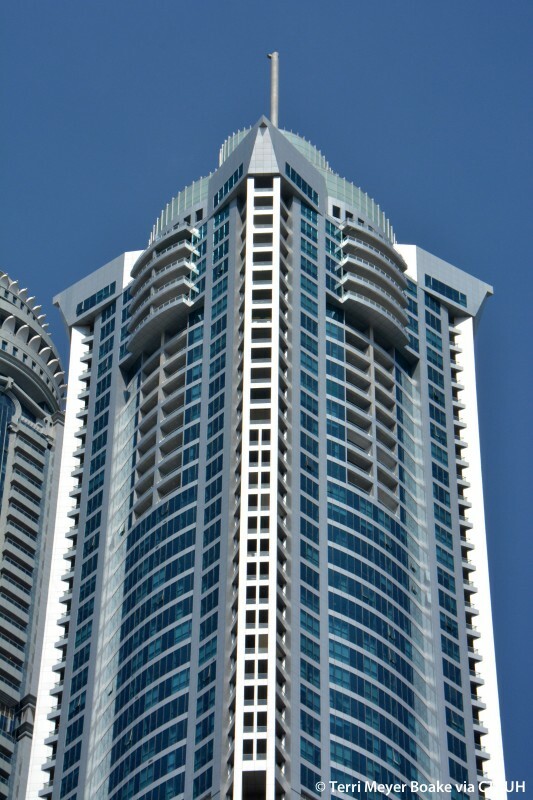 The shapes and materials that compose the building’s white and unitized blue glass curtain façade vary along its height, offering visual variety. 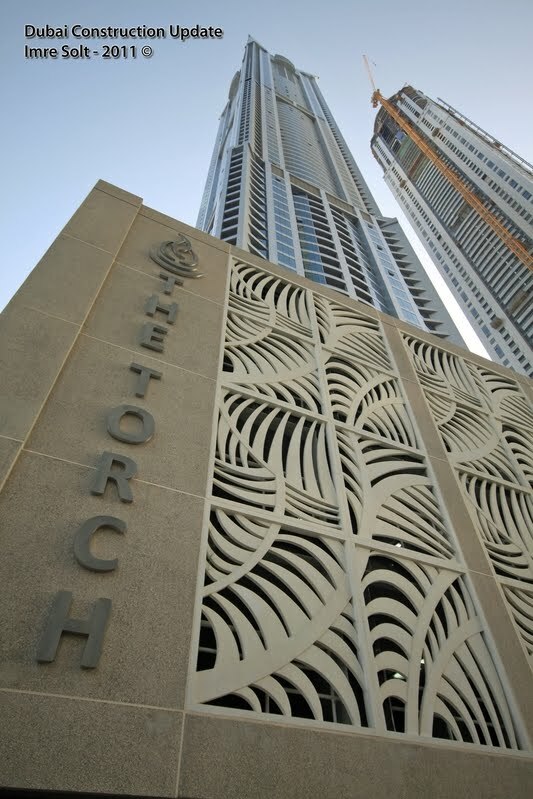 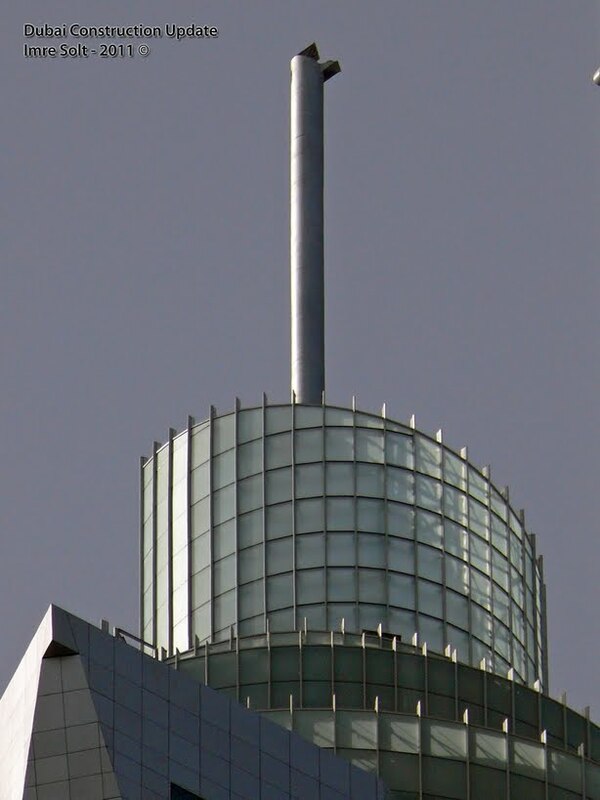 At the top, a sculptural facet crowns the building, a glass-paned element that twists and extends upward, creating a swirl around the tower’s protruding spire, an architectural detail whose form was inspired by the building’s inspiration, a torch. 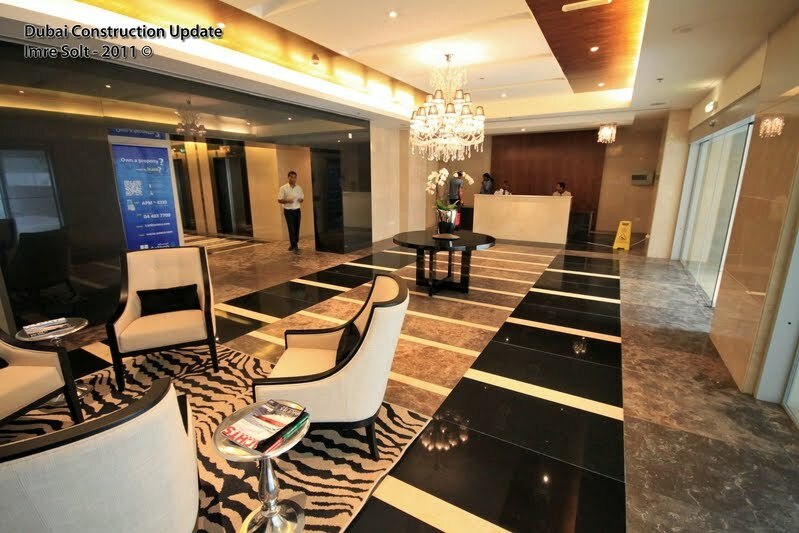 The building’s interiors feature exquisite marble floors in the communal areas such as the lobby, and carefully-laid tile floors in the residences. 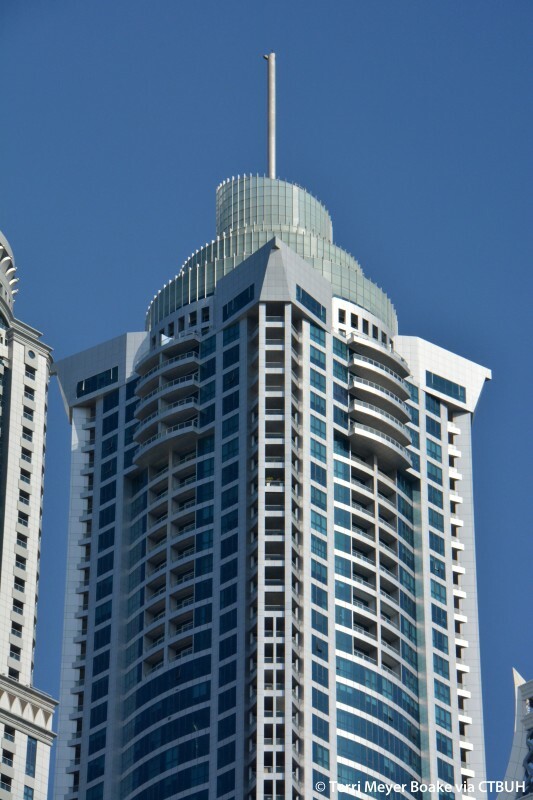 The skyscraper is built on a concrete podium structure with patterned walls that are reminiscent of a mashrabiya, a type of projecting window common in Islamic architecture comprising an intricately carved latticework that gives protection from the sun. 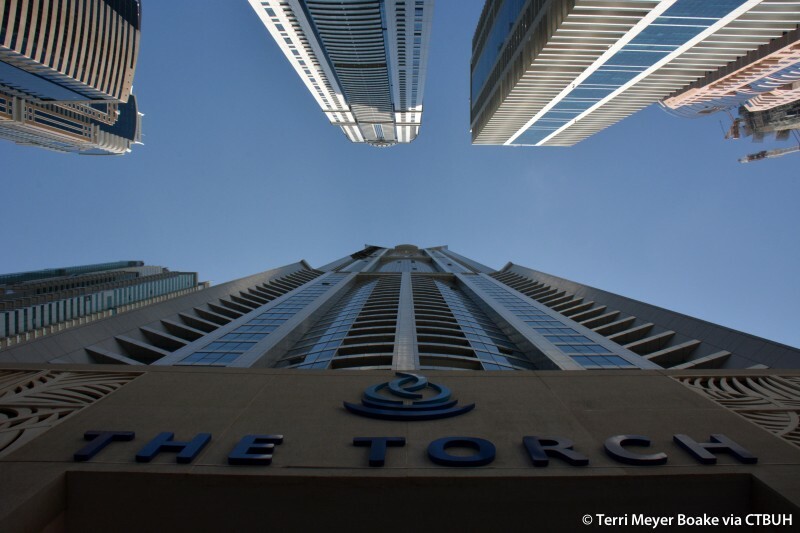 The podium houses shopping destinations for residents and guests. 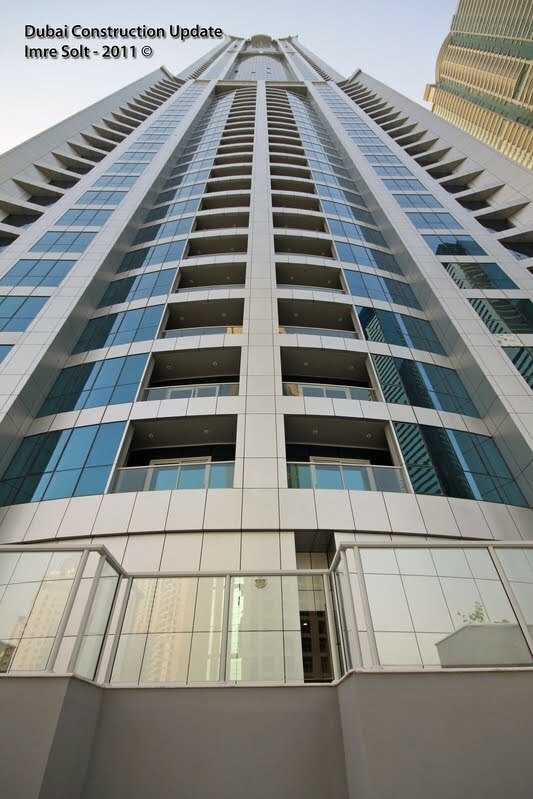 Modern amenities for residents include a sauna and steam room with private changing rooms, a state-of-the-art gym, and ample private parking space. 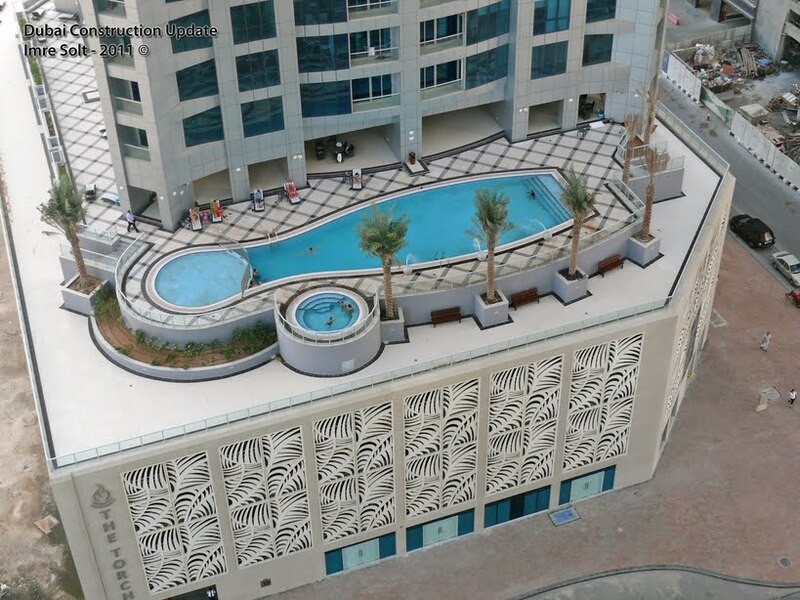 The podium’s rooftop is landscaped with palm trees, and boasts a large private deck with a swimming pool, Jacuzzi, and a sunbathing area.